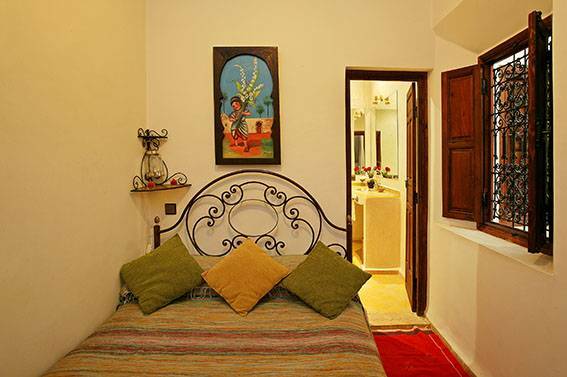 The Riad Karim’s position within the Old Town puts you within easy reach of the bazaars, Jemaa-el-Fna square, principal monuments, gardens and shopping streets. Riad Karim is a divine hideaway where the spirit and charm of traditional Moroccan design is beautifully infused with contemporary elements. 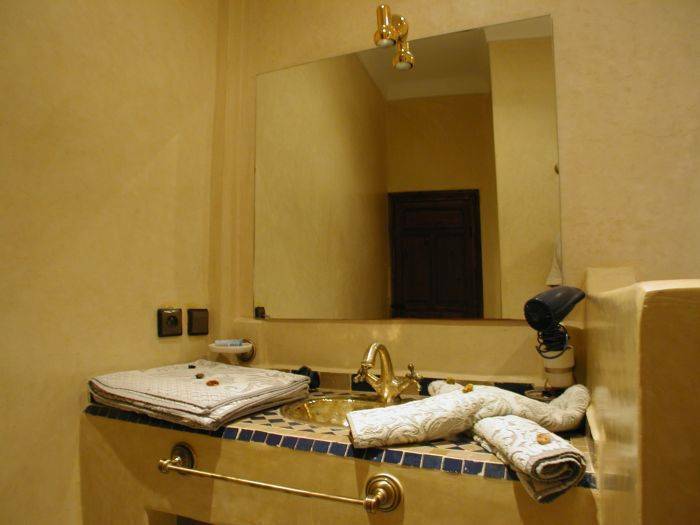 Riad Karim offers a choice of 4 spacious rooms opening onto an interior patio, covered in winter, with a murmuring fountain. The Riad's decoration is interesting, instead of opting for the more sombre tones of a traditional Riad, the owners of the riad have incorporated tasteful dashes of colour. 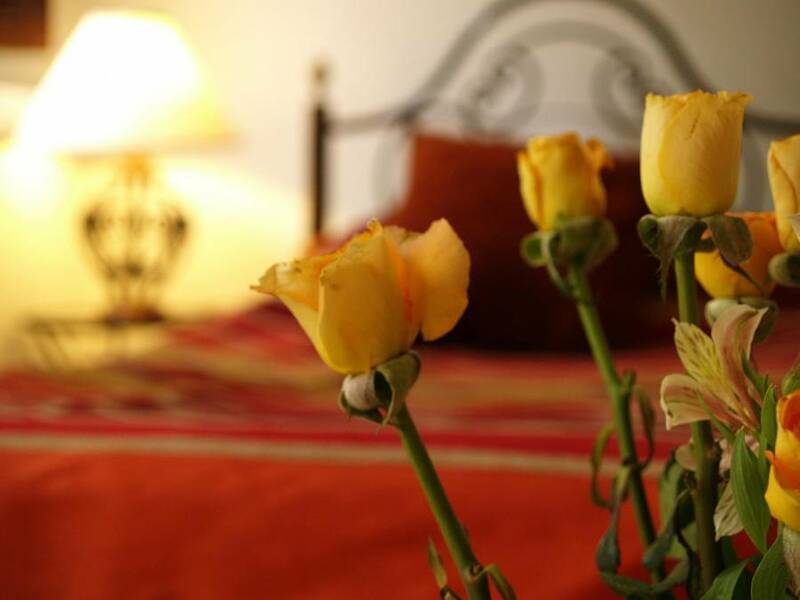 Rooms are renovated in keeping with Moroccan tradition including exposed brickwork, polished limestone finishes (Tadelakt) and enamelled tiles (Zellige). Rooms feature a variety of colours and decoration and are highly personalised. There is also a wonderful secluded rooftop terrace for sunbathing, a comfortable sitting room with an open fireplace, Wi-Fi Internet access and flat screen TV. 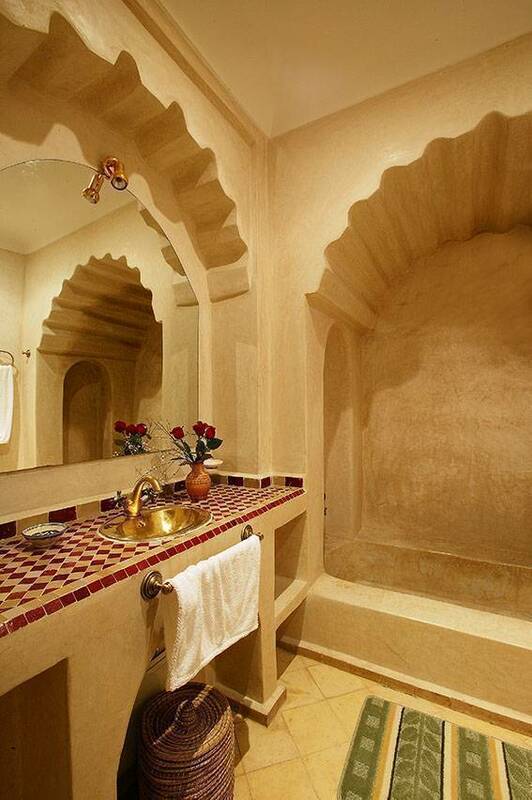 The Riad is also fitted with split system (heating/cooling) air conditioning throughout. 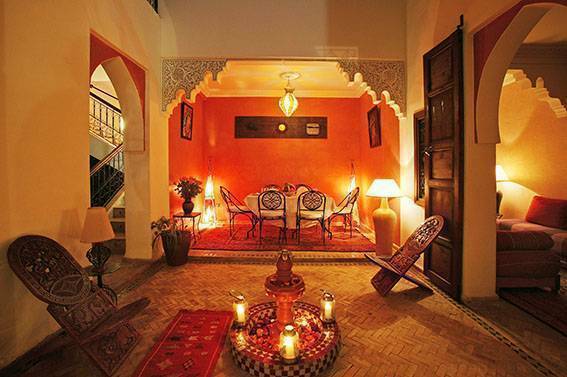 For dining, meals can be enjoyed within the comfort of the Riad at the host's table. -	Prix du chambre pour une personne adulte par nuit est de : 40 € (y compris votre commission) city taxes : non incluse. breakfast : inclus. Une excursion gratuite (une journée) à la ville d’Essaouira. Un transfert aéroport (Aller sans retour) gratuit (à condition que le client doit nous communiquer son horaire d’arriver. 2 rooms with 2 beds, bathroom with tadelakt and toilets, hair drier, air-conditionner and individual heating, safe box. 2 rooms with a big bed, shower-room with tadelakt and toilets, hair drier, air-conditionner and individual heating, safe box.